The experience of horseback riding in Central Park in New York City is once in a lifetime! Caroline Maffry explains why. Whether you have ever dreamed of riding a horse one day or if you are already a seasoned equestrian who competes for a living, everyone would agree that New York City's Central Park is visually one of the most breathtaking settings to enjoy on horseback. Autumn is a beautiful time of year to visit NYC, and it is also a great opportunity to attend the Central Park Horse Show and ride in the park. The great thing about the Central Park Horse Show is that even casual spectators with no knowledge of the equestrian world can enjoy this thrilling event, set just a short walk from the south end of the Park by Manhattan's iconic 5th Avenue. Located at the famous Wolverine Skating Rink, this show offers five days of events and expos, with backdrops of beautful views of the city skyline. With the show only in its third year, this opportunity to see an outdoor horse show in Central Park still remains a novelty and one to consider attending next year. 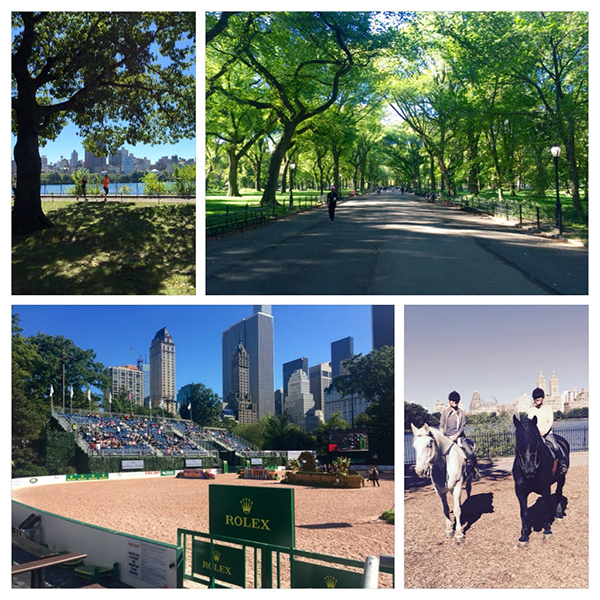 For those interested in NYC horse activities beyond that of a spectator, Central Park has more to offer. With the renovations of Central Park's six miles of bridle paths, the goal was to restore the park back to its original design, including the bridle paths that horses once frequented daily. 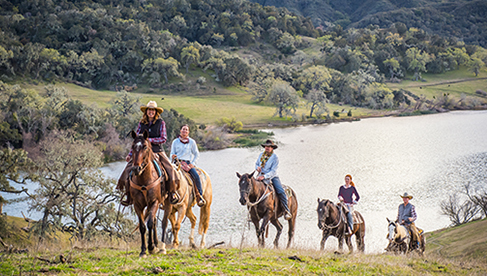 With trail riding on horseback available again, the horse and rider can once again enjoy the park for the first time since 2007. NYC locals and visitors alike can continue this 150 year old pastime of seeing the park on horseback. Noted as the first public park in the U.S., Central Park not only serves as a peaceful oasis to its visitors but it is also is a stopping point for migratory birds each year. With over 50 fountains, monuments, and sculptures, and 36 bridges and arches, my NYC weekend would not be complete without this "ultimate park experience" for myself. Our guide Kara, and the horses from the Chateau Stables met us on the west side of the park, and we departed from outside Tavern on the Green Restaurant on the bridle path toward the Jacqueline Kennedy Onassis Reservoir. We were welcomed by families out for a morning walk, and tourists snapping photos, all excited too see our horses also out enjoying a fall stroll. As we looped around the Reservoir and the 1.7 miles of bridle paths that encircle it, being on horseback allowed us to be just high enough above the ground to see across the Reservoir. This provided dramatic views of the city surrounding us and it was clear that the parks original design was with merit. Our guide was very friendly and knew the park well. A former Central Park Police Officer, it was comforting to have her as our guide, as she was quite knowledgable about the park itself, as well as the do's and don't's while being on a horse in the park. She explained as we walked along, that we had the right of way with the horses, but it did not seem to be an issue, as our mounts, Sophie, Black Jack, and Puzzle were all well mannered and accustomed to sharing their bridle path with pedestrians on the ground. However, there were a few tentative joggers who gave us a wide berth as they passed. 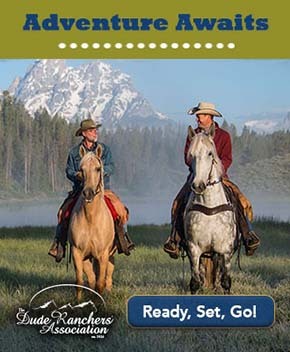 We spoke about the horse's care and daily routine, and I was happy to learn that the horses get three to five months vacation outside of the city each year and that they only trail ride for a few hours each day. As we completed the loop and headed back to our starting point at the Tavern on the Green, we thanked Kara (and our horses of course) for the personal tour, her warmth and friendliness, photos we were able to stop and take, and a beautiful day in the horseback riding in the park. Although there seem to be various operators offering rides to visitors in Central Park, our guide noted that Chateau Stables is the only authorized operator for now, with bookings possible through Central Park Sightseeing or through the Stables directly. Our booking was easy straightforward online through Central Park Sightseeing, with two options from which to pick--the hour ride up and back along the west side or the two hour ride that loops the Reservoir. 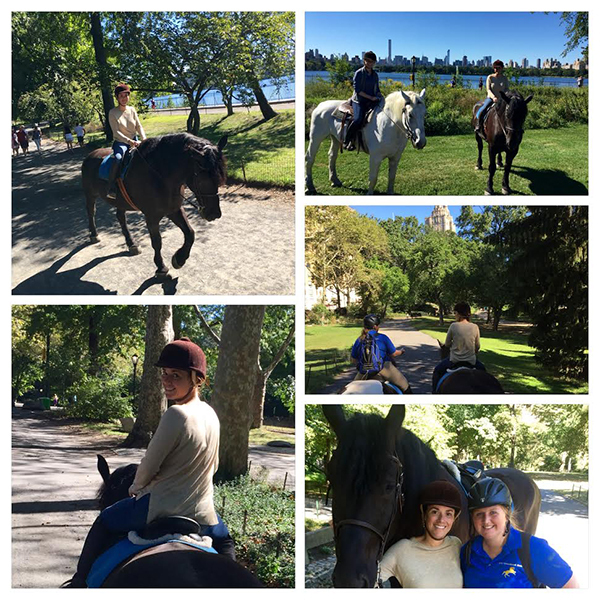 So whether you want to enjoy horses in Central Park as a spectator or try it out for yourself and trail ride the 150 year old bridle paths, add riding in Central Park to you list of musts in your lifetime!